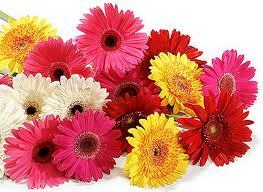 Come get your gerbera daisies 1/2 off this week!!! That’s right, only $1.25 a stem. As many as you want while supplies last. Mix and match your colors too. Only this Thursday and Friday for walk in customers. Can’t wait to see ya!! Previous post: Don’t forget Dad!! !